Hayletts Private Hire works alongside a number of leading travel companies. We collect passengers from drop-off points to take them to their next destination. We also provide emergency cover for railway networks. Under extreme conditions, and/or in the event of cancellations, we provide rail replacement buses, allowing passengers to complete their journeys. All vehicles are fully insured and we hold full Public Liability insurance, so you can choose us with confidence. We can provide transport for parties of up to 70 passengers. 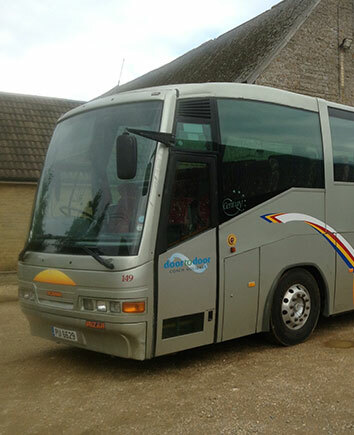 All our vehicles are regularly serviced, cleaned and maintained, ensuring a positive passenger experience. If your company operates in the transport sector, we can help you meet your customers' demands. In the transport industry, service and punctuality are key. To keep delays to a minimum, you should be prepared for every eventuality. The feeder transport service from Hayletts Private Hire Ltd can help keep things running smoothly for your business. We offer very competitive rates and regularly receive new commissions thanks to the high standard of service we provide. Why not give us a call to find out how we can help your business?